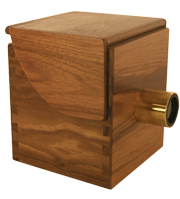 These are very high quality Camera Obscura, handbuilt with Walnut hardwood. We use dovetail joinery for its strength and beauty and to add to the overall quality of the piece. 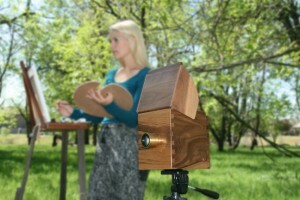 Each Camera Obscura has a tripod mounting screw, that can be attached to any standard tripod. 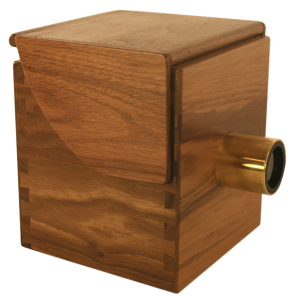 Our Camera Obscura is about a 6 inch (15.3cm) cube and only weighs 1.65lbs (1.2kg) in solid Walnut. You can take it anywhere and it’s easy to store or display!The lens tube is formed from seamless brass tube to give you a solid authentic use and feel. The lens is a uncoated spherical glass lens about 38mm in diameter. This lens will allow you to focus on objects about 3 feet away to infinity. The ground glass screen is used for viewing the image and the clear screen is used with a piece of tracing paper to trace the image. The useable screen image size is about 5 inches (12.7cm) square. 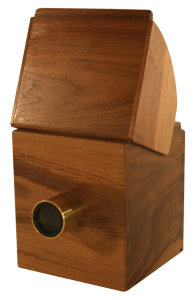 Deluxe WALNUT Camera Obscura with Camera Mount Fully ASSEMBLED and finished. 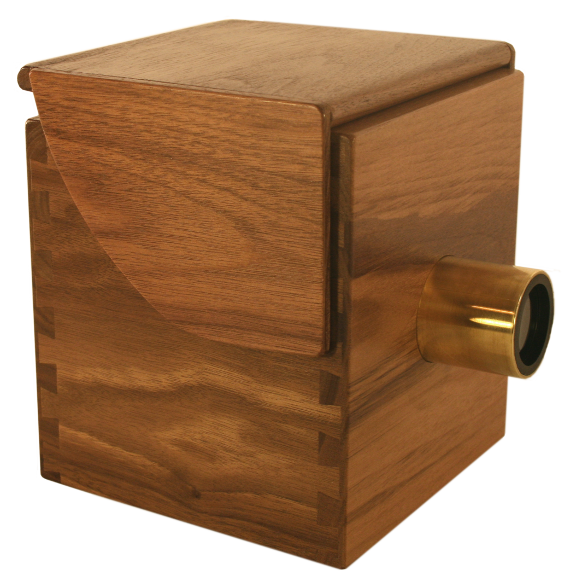 Includes the fully assembled Camera Obscura with a beautiful lacquer finish, lens tube and lens, 2 screens, video instructions—PLUS: a Focus Cloth, 1 Close-up lens, and an extra ground glass screen, the Camera Mount and additional super close-up lens. Also available on eBay! CLICK HERE! Each LUCID-Art is packed in a quality reusable folding box with attached egg-crate cushions. Shipping to the continental United States: Domestic orders ship out of our warehouse in 1 to 2 business days (Camera Obscuras, Drawing Boards, and LUCIs can take from 2 to 10 business days to ship out). To calculate shipping cost: add your order to the shopping cart and proceed to checkout, enter your zip code and select UPS Ground (FREE!) or UPS 2nd Day Air (for domestic orders) and click apply; then you will see the shipping price on the left. 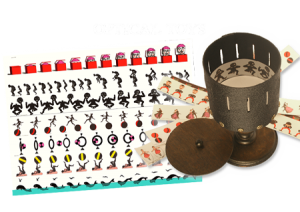 International shipping: International orders ship out of our warehouse in 1 to 3 business days (Camera Obscuras, Drawing Boards, and LUCIs can take from 2 to 10 business days to ship out). USPS Priority International takes 6-10 days in shipping. 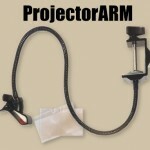 The costs are calculated by weight and discounted below our actual costs per item. If you add your item(s) to the shopping cart, then you can see the shipping totals before you checkout. One LUCID-Art Camera Lucida shipped outside of North America costs $28.96 for shipping. USPS Air to Canada (for Canadian orders) takes 6-10 days in shipping and is $17.98 for a LUCID-Art Camera Lucida. Import duties, taxes and charges are not included in the item price or shipping charges. These charges are the buyer’s responsibility. But I lowered all my international shipping prices at my own expense to help offset the cost.